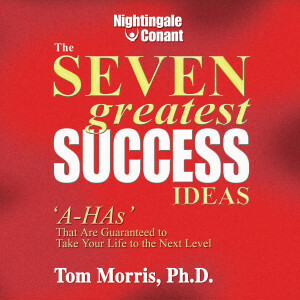 Tom Morris, Ph.D. has become one of the most active business speakers in America due to his unusual ability to bring the greatest wisdom of the past into the challenges we face now. A native of North Carolina, Tom is a graduate of UNC (Chapel Hill), and has been honored, along with Michael Jordan, as a recipient of their "Distinguished Young Alumnus Award." He holds a Ph.D. in both Philosophy and Religious Studies from Yale University, and for 15 years served as a Professor of Philosophy at the University of Notre Dame, where he quickly became one of their most popular teachers. He is now Chairman of the Morris Institute for Human Values in Wilmington, NC, where he now lives. A popular public speaker, Tom's recent audiences include Coca Cola, Merrill Lynch, IBM, The US Air Force, Price Waterhouse, Target Stores, NBC Sports, Business Week magazine, and the World Presidents Organization. He has served as the national spokesman for Disney Home Videos, as well as being the only thinker ever to engage in early morning philosophy with Regis and Kathie Lee. His message is helping to change lives and revolutionize business practices everywhere.